Is it ok to drink alcohol while on Toprol XL? What effects can I expect between Toprol Xl (metoprolol succinate) and alcohol? Toprol XL (and the generic Metoprolol Succinate) is a beta-blocker. 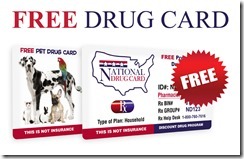 Beta-blockers essentially slow the hear rate and are usually used to control high blood pressure and heart rate. Common side effects of metoprolol succinate include: wheezing and difficulty breathing, drowsiness, dizziness and difficulty sleeping. 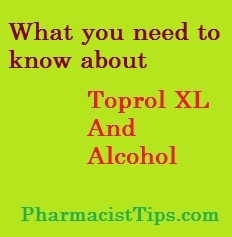 It is best to limit alcohol consumption with Toprol XL. The alcohol may increase the risk of side effects. If you do drink with this heart medication I would encourage to to monitor your blood pressure and heart rate with a good monitor like Omron or another reputable brand. Most people do fine with occasional social drinking and Toprol XL, but be aware of potential problems. One should monitor blood pressure and heart rate not only while drinking, but the day after. It is common to have a spike in blood pressure and heart rate the day after drinking alcohol. I would encourage you to speak with your healthcare provider about using alcohol with Toprol XL or the generic metoprolol succinate. I hope this information is useful to you. Feel free to ask me any pharmacy related questions.